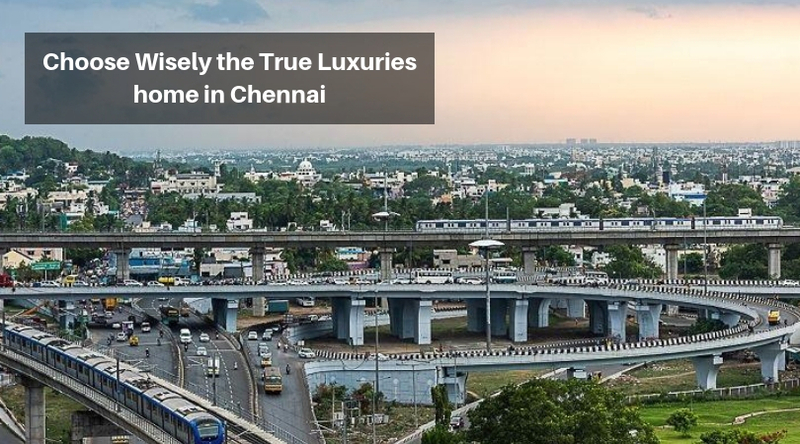 Investing in the real-estate market of Chennai! Chennai is the sixth largest city of India. The capital city of Tami Nadu is recognised world-wide for more than one factor. Over the last two decade the city has gradually developed as an ideal destination for investment. The rich heritage of the city is perfectly contrasted by the contemporary features of the city. The city is home to about one-third of the of the country’s automobile industries. It has also gained prominence for its finest health facilities. Investing in this cities real-estate has always been profitable for the investors. Abode to some of the oldest and most prestigious educational institutes of India, the city of Chennai is an educational hub of the country. The city colleges offer some of the most modern educational facilities and curriculum. Well-connected by wide roads the city is served by an efficient system of public transport. Some of the fastest developing regions of the city include, Siruseri, OMR, Sholinganallur, Tambaram, etc. With the increase in the number of IT corridors in the city, the residential demands have increased exponentially. The city is considered as a safe investment option as it has not seen depreciation in values in many years. According to experts the market value will show constant increase in capital value in coming years. 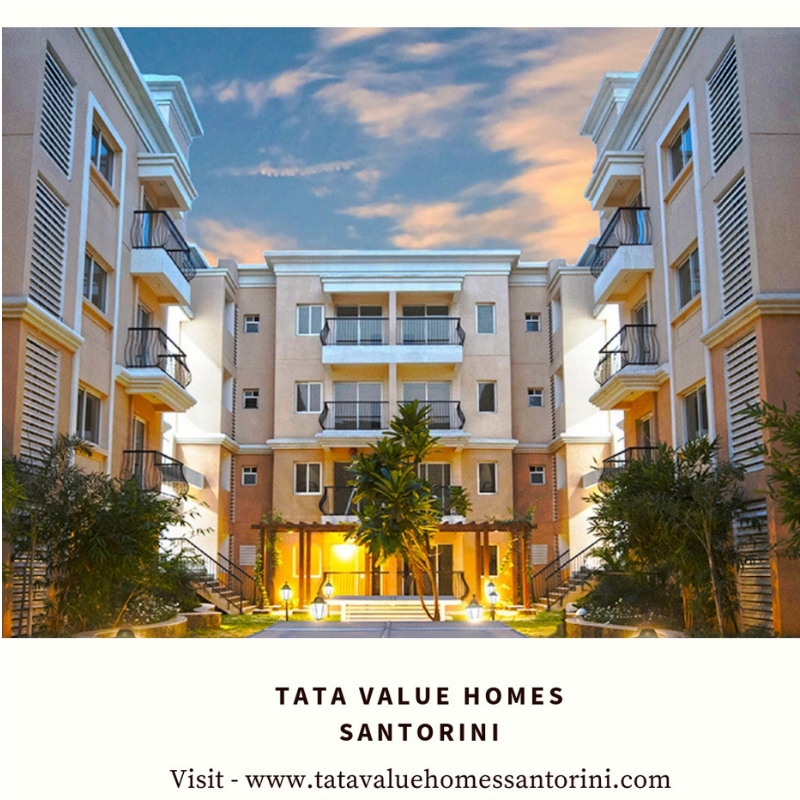 Spanning over an area of 18 acres in the Poonamallee region of Chennai is the outstanding gated community TATA Value Homes Santorini. It is a CMDA approved and pre-certified green development. 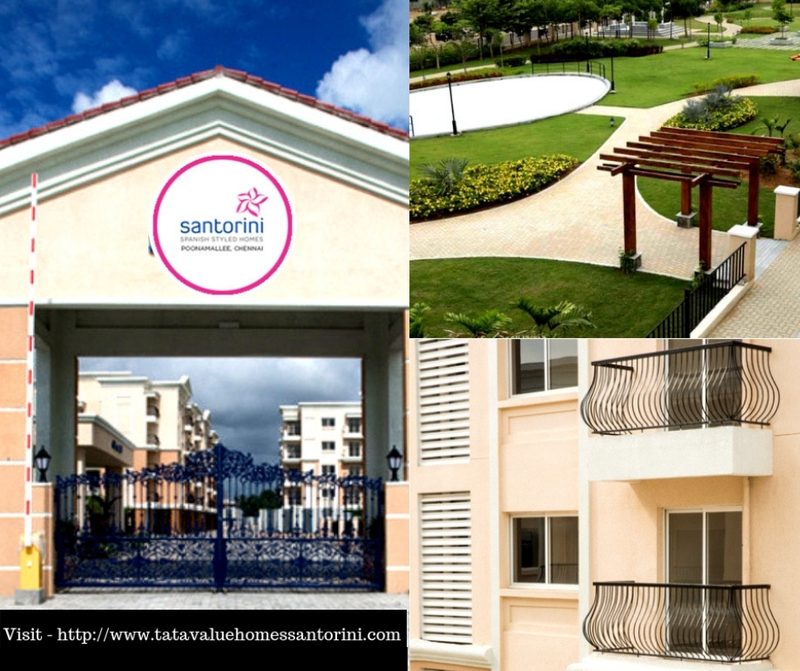 Developers are offering 1, 2, 3 and 3.5 BHK Spanish style units in the estate. These abodes come with exclusive podium gardens and top-quality furnishings. The plush outdoor of the estate has been embellished by lovely landscaped gardens, 9-home golf course, wide walkways and more. Some other amenities offered to the residents include, clubhouse, meditation centre, several sports facilities, kids’ play area, car parking, theatre, power backup, security and more. The apartments offered in the estate cover an area ranging from, 576sq.ft. to 1386sq.ft. and their prices range from Rs. 25.21 lakhs to Rs. 62.72 lakhs. TATA Housing is developing a luxurious housing project TATA New Haven Ribbon Walk at Mambakkam, Chennai. The extravagant gated community has lovely landscaped gardens, ample parking space, lifts, power backup facilities, water supply, dedicated kids’ play area and more to offer its residents. Developers are offering several amenities to the residents such as, clubhouse, sports facilities, meditation centre, swimming pool, gym, etc. Apartments are offered in configuration of 1 and 2 BHK units. They cover an area ranging from 603 sq.ft. to 1152 sq.ft. and their prices range from Rs. 28.31 lakhs to Rs. 56.57 lakhs. The abodes offered are expansive and have been installed with best-in -class facilities.